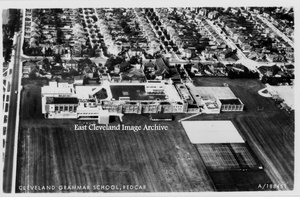 Our Aero Films postcard view of Cleveland Grammar School is from the 1960’s. Image courtesy of a friend of the ECIA. Wondering if anyone has more photos of Cleveland Grammar school?